When I interviewed drummer Jack DeJohnette recently for an upcoming piece on bassist Larry Grenadier, he reminded me about this month’s performance by the Keith Jarrett Trio at the New Jersey Performing Arts Center (NJPAC). 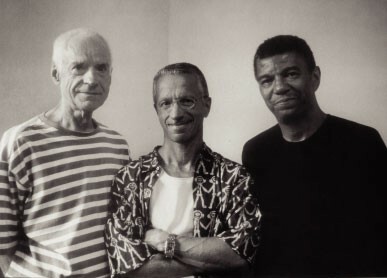 The influential trio, which is led by pianist Jarrett and features his fellow legends DeJohnette and bassist Gary Peacock (both Hudson Valley residents I’ve profiled for Chronogram), was officially founded in 1983. But the three had been playing together long before then; from 1966 to 1968, Jarrett, DeJohnette, and Peacock were members of the Charles Lloyd Quartet, and in 1970 they shared the stage behind Miles Davis. The Keith Jarrett Trio will appear at NJPAC in Newark, New Jersey, on November 30, at 8pm. Tickets are $25-$89. For more information, call 1-888-GO-NJPAC or visit http://www.njpac.org/.